Today I will provide an update on my project to map charitable institutions, specifically hospitals, in the port cities of Lisbon, Seville, and Venice in the early modern period. As I mentioned in a previous blog post, I have a wealth of data for Venice but have been struggling to find similar information for Lisbon and Seville. For Venice, archival records tell us the foundation date for the majority of hospitals in the city, and that information has already been published. As I have explained before, this is not the case for Lisbon and Seville. From my research so far, I have found records of many hospitals in each city during the fifteenth and sixteenth centuries, but the problem is that scholars often do not know when those institutions were founded, and sometimes even their original location remains unknown—we just know from documents that they existed somewhere in the city at some point in time! Due to this problem, and to a slight shift in my own research, I have decided to map not the hospitals founded during the fifteenth and sixteenth centuries, but rather those that existed during this period in the three port cities I am studying. Luckily, starting in the fifteenth century, many European cities began to notice that their hospital systems, at that point consisting primarily of small medieval institutions, could attend to the needs of the sick and poor population effectively. 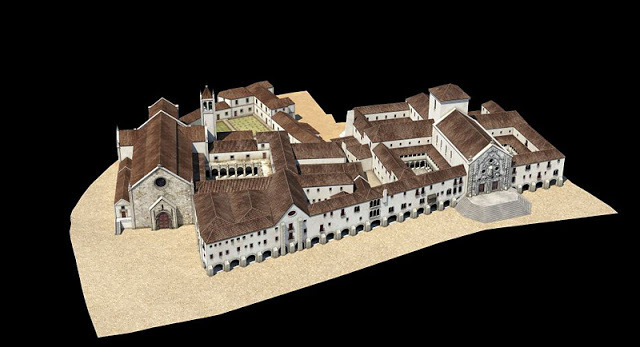 Following the example of several Italian cities, in the late fifteenth and early sixteenth century, many Portuguese and Spanish cities started the practice of incorporating small medieval hospitals into larger, general hospitals that could better serve the population. 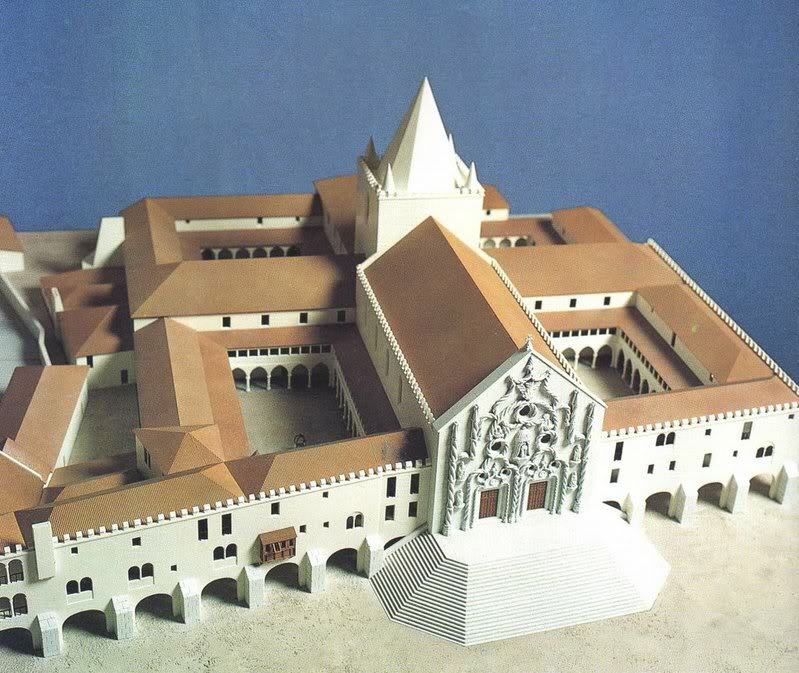 In Lisbon, construction of the Hospital de Todos os Santos (All Saints Hospital, destroyed in the 1755 earthquake) began in 1492, following the consolidation of approximately 43 medieval institutions. The hospital was completed in 1504 with approximately 200 beds (Guimaeães Sá 1996). In Seville, this process did not occur until 1587, when 75 out of 112 city hospitals were consolidated into two general institutions, the Amor de Dios and the Espíritu Santo hospitals (both structures have been demolished). Besides its clear importance to the public health of early modern cities, this centralization of charitable institutions also meant that, in many locations where general hospitals were founded, there was a process of recording the existing medieval hospitals. Luckily, this material has survived for Lisbon and Seville and will serve as the main source for my project. Even though my initial interest in researching these hospitals was to better understand their patronage, this change means that my project will now concentrate on understanding how the centralization of smaller hospitals into a general hospitals affected the face of public health in these early modern port cities, as well as on the different strategies for public welfare employed by each city. Pereira, Paulo. Hospital Real de Todos os Santos: séculos XV a XVIII. Lisbon: Museu Rafael Bordalo Pinheiro, 1993. Sá, Isabel dos Guimarães. “Os hospitais portugueses entre a assistência medieval e a intensificação dos cuidados médicos no período moderno.” In Congresso Comemorativo do V Centenário da Fundação do Hospital Real do Espírito Santo de Évora : actas, 87-103. Évora: Hospital do Espírito Santo, 1996.